with a fun online economics learning game. 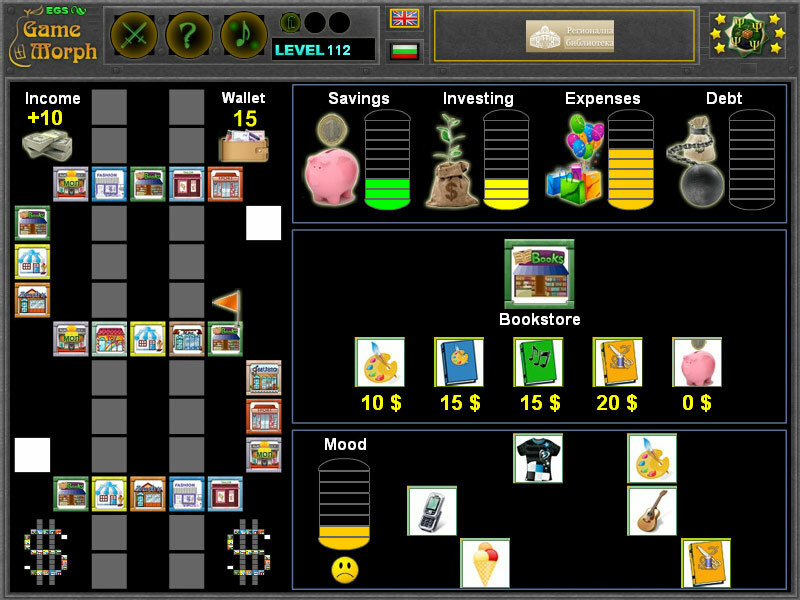 "Finances for Kids" is a free online knowledge level game to train basic personal finances. Test financial discipline in 4 aspects, Savings, Investing, Spending and Debts. A small board game for desktop computers, laptops and tablets, which may be played in the web browser. 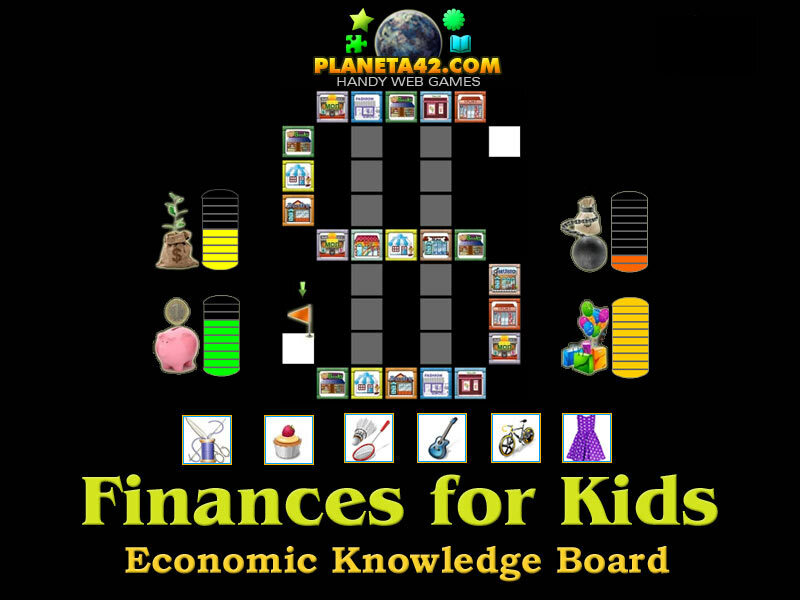 The Economics Knowledge Board include 21 places with pictures to play on. Part of the Interactive Personal Finances educational tools. What are the three financial classes? How to keep wallet balance positive? Where to practice financial discipline? How to play Finances for Kids. Pass 21 board squares, that present a different shops. Click the flag, then click some of the (sqare)items in the "shops". Every step, there are 10$ to spend in these shops that will affect the base financial characteristics. The challenge is to retain a positive Mood, while avoiding Debts. Try to create at least one of the three creativity products, painting, song or bag that will give additional money in the Wallet. Know the the basics of financies. income, wallet, saving, investment, spending, debt and mood. The pictures are compilations from popular graphics found on the Internet. Labels: Games with Finances , Board Games , Flash Games , Economics Games , Education Games , Free Online Games.